When you wake up at night and can't sleep. When someone you loves disappoints you and you feel alone. When you need a reminder of how to reconnect with your "wise one". When you discover you have a health issue that makes you scared. When your work challenges become too much and you are forgetting to breathe. When you want to let go, forgive, move on, but you don't know how to put it into practice. When you are getting ready for a surgery and you are scared about going through it. When a friend of yours is hurting and you want to send them a meaningful get well gift. 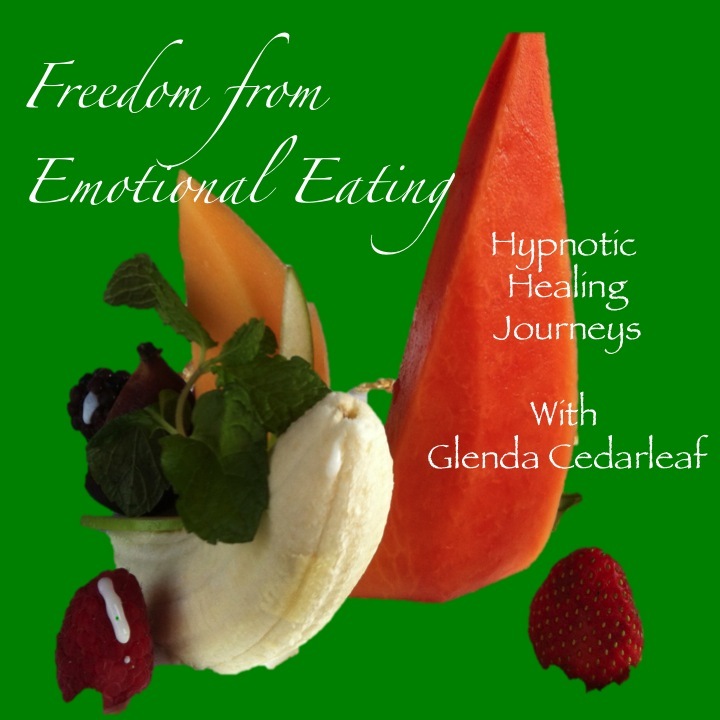 "The photographic images on the cover (of Glenda's CDs) are gorgeous. to the full page description of each audio. if you want a CD and not a download. 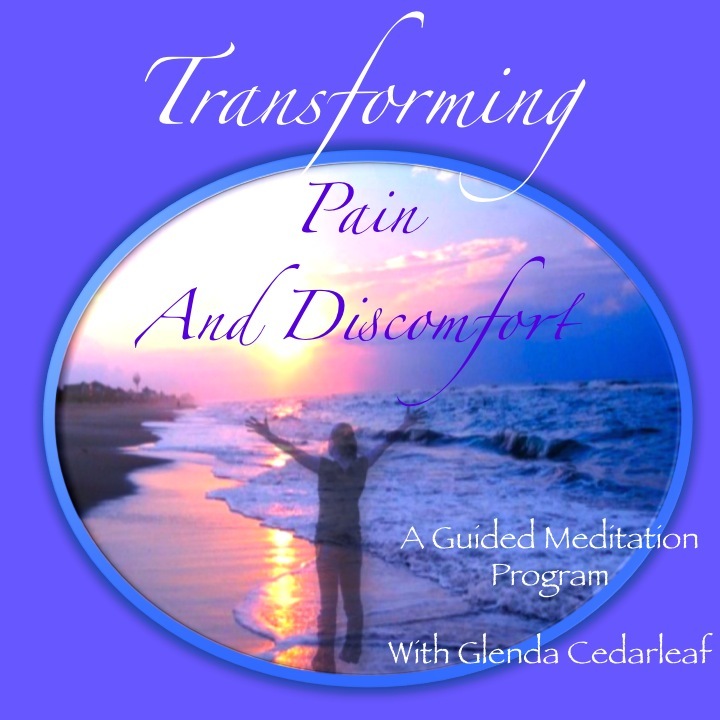 To help you heal after loss.Beauti-ful music, an extended journey into forgiveness & letting go. 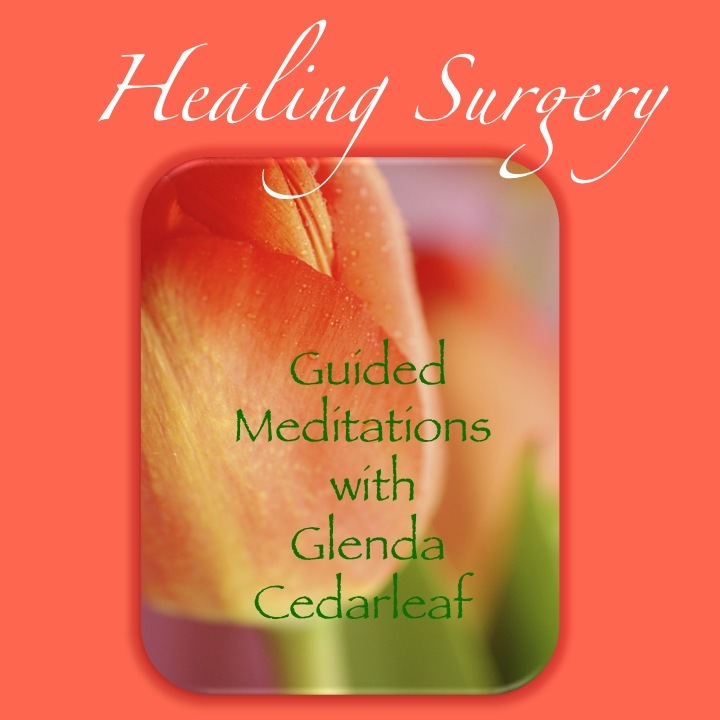 5 tracks to prepare for Surgery. 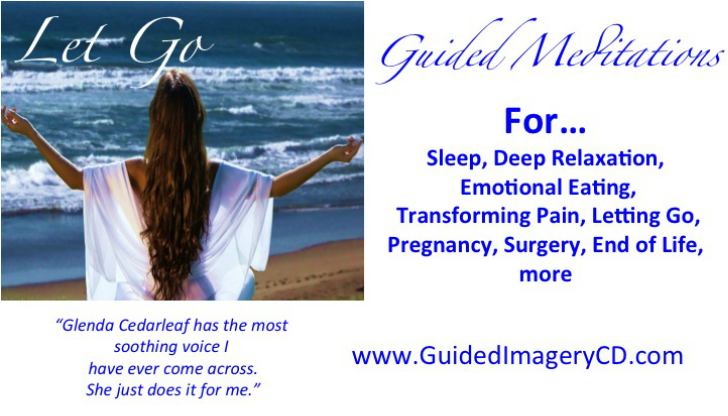 To help you visualize and focus on positive healing images. 6 tracks to prepare for the coming of your baby. 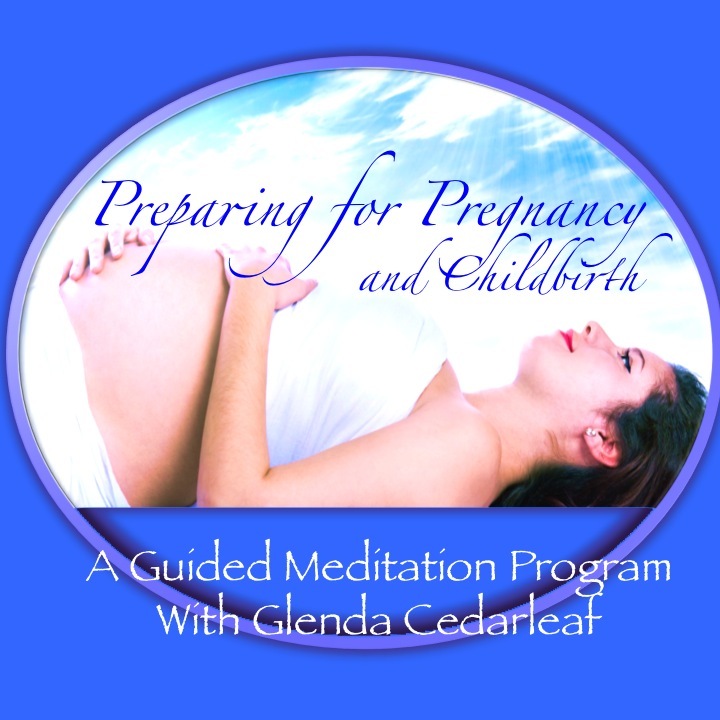 Imagery journeys for before, during, and after childbirth. 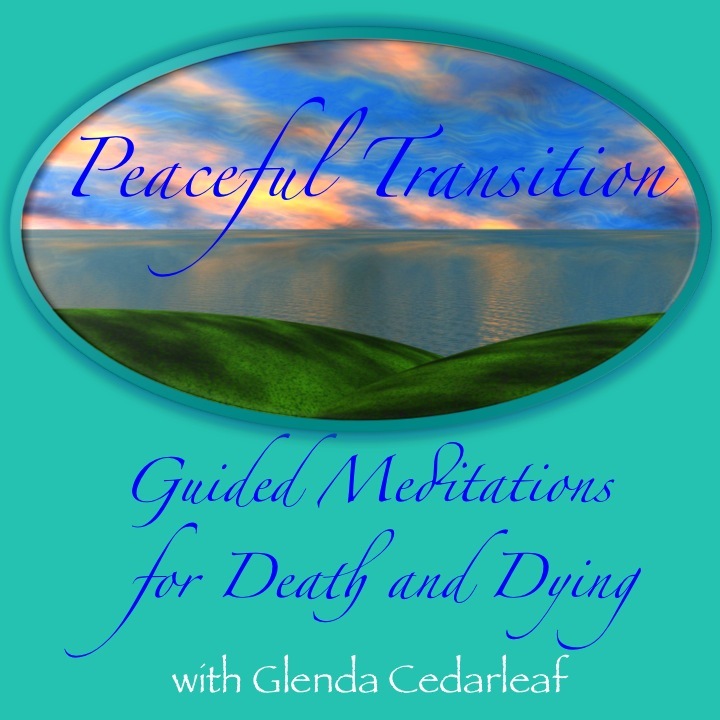 6 Tracks for those at the end of life AND for their loved ones to share. ﻿“You know that place between asleep and awake? The place you can still remember dreaming?